For a long awaited excursion to sunny Scottsdale, Arizona–with its host of top-notch resorts and championship layouts–I loaded up a pair of Travelpro Max-Lite Rollaboard luggage pieces and felt confident I hadn’t overlooked anything. 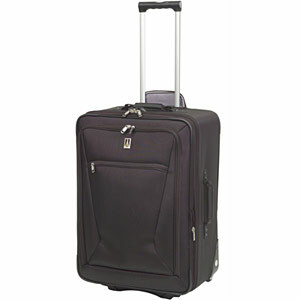 In examining the luggage more closely, the same could be said for Travelpro. The little things stood out: the double-stitching on the exterior name tag pocket; the ergonomic quality and strength of the zipper pulls; the durable construction of the inline wheels that glide effortlessly and quietly; and the smartly designed built-in ticket pocket within the outside pocket for easy access to boarding pass, keys, phone, iPod etc. Best of all, both pieces are ultralight yet ruggedly built for the most serious of road warriors. Until holing out on the first green in Scottsdale and thanks to this USA-based company, I’m feeling like a pro. A holiday treat: The Spa at the Mandarin Oriental, D.C.